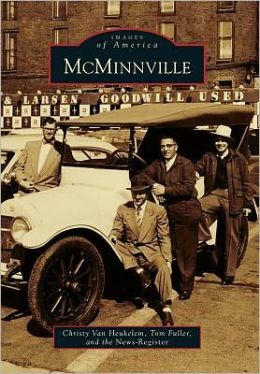 Images of America: McMinnville traces the history and people of McMinnville, Oregon. 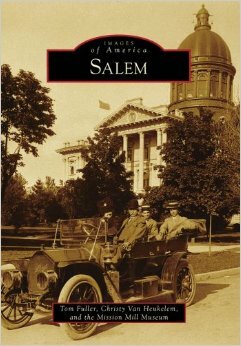 I have once again teamed up with author and genealogist Christy Van Heukelem. William Newby had a vision to create a place of commerce and residence for settlers to the Willamette Valley. Newby named the town after his hometown of McMinnville, Tennessee, and saw plenty of local opportunities on his land, straddling an old Native American trail along what is now Baker Street. Newby had a millstone shipped from Oregon City so grain could be ground at his mill. Soon, a blacksmith shop and a general store attracted people to an expanding village. In 1866, the area’s first newspaper began publication and would later become the McMinnville News-Register. Newby donated land for a college, built churches, warehouses, mills, and stores. The city was incorporated in 1882, shortly after the arrival of the railroad. Since then, McMinnville has become the center of population and government for Yamhill County. It sports many modern industries and retains the charm of the historic city along Third Street. The land that became the city of Newberg played a crucial role in the founding of the state of Oregon. It provided the second permanent encampment after Fort Astoria for trappers coming to the Pacific Northwest. Ewing Young came to Oregon in 1834, claiming as his own a vast stretch of land around his home in the Chehalem Valley. When Ewing died without a will, nearby residents gathered to settle Ewing’s estate. 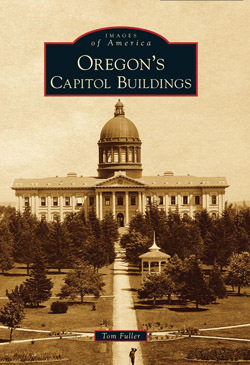 This event led directly to the vote at Champoeg to make Oregon part of the United States. The town’s name was given by pioneer Sebastian Brutscher after his Bavarian hometown of Neuburg. Other settlers arrived, and soon Newberg was a thriving pioneer town. Images of America: Newberg is available at book stores and other places around Newberg including Chapters, Fred Meyer, The Cameo Theater, and Naps. You can also order from Amazon.com. 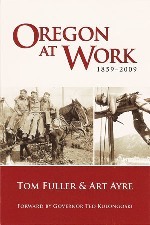 Also see a story on the book by the Newberg Graphic. I contributed one of the devotionals to this Bible. I chose worship as my theme and wrote the devotional based on the woman who poured perfume on Jesus’ feet. You might not think that relates to worship, but it does! Read my blog post about the experience of writing a meditation for this Bible. It was quite an honor to be included in this project. I encourage you to pick up one of these new Bibles soon!